In a busy industrial work environment, it’s important for technicians to be able to access, organize, and transport certain tools and components. Traditional pallets, trucks, and other storage devices can be lacklustre at handling this need, and a worksite that can’t find a solution will not be able to operate at optimal levels. Even the most high-quality worksites with the best technicians can struggle to be efficient without proper storage devices. The Workplace Depot is excited to offer Ergonomic Stacking Euro Containers. 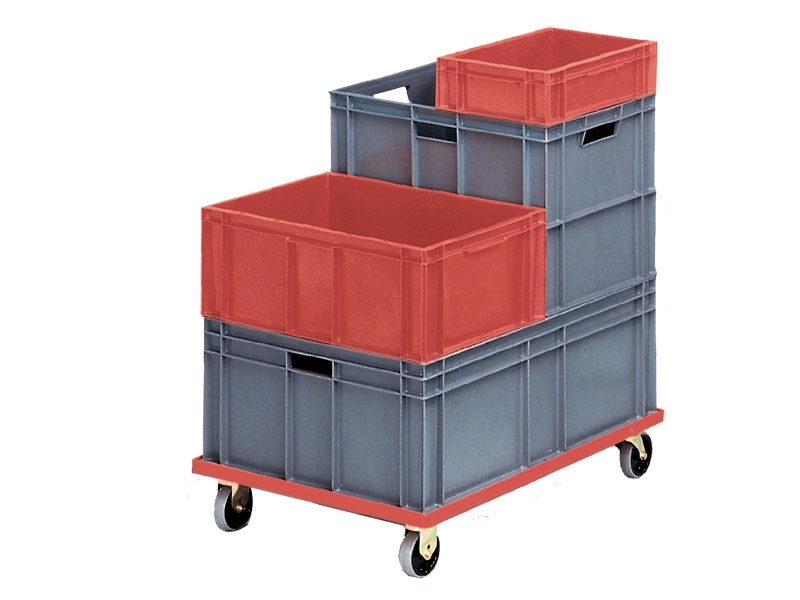 These units can be great for organizing and transporting materials at worksites in a quick and efficient manner. What Is the Purpose of Ergonomic Stacking Euro Containers? This product is designed to provide commercial worksites with a handy storage device that can be used for organizing important tools and components. But while storage containers are common at many worksites, they can often be difficult to move. 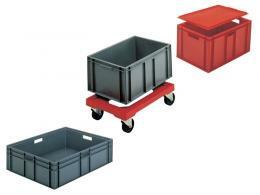 These containers can be easily stacked in compact, easy-to-move loads. This makes ergonomic stacking euro containers great for fast-paced worksites where materials must be transferred from one workstation to the next. The retail, automotive, and engineering industries are known to utilize a large amount of materials and components. Moving these items to appropriate locations in a timely manner is vital for a successful project. Ergonomic stacking containers can be used at any shipping yard, construction site, or automotive workshop to neatly organize items while keeping them mobile. Any worksite manager who has ever noticed their facility becoming messy may have looked into traditional storage units. However, these stationary units are not conducive to maximum levels of efficiency at a busy worksite. 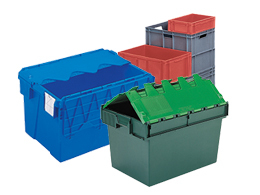 Ergonomic stacking euro containers are a great solution, as they provide organizational capabilities and are designed to be transported together with ease. These units are available in both solid and ventilated models, and can be ordered with lids or dollies. With capacities ranging from 8 to 75 litres, finding the right fit for any organization is possible.